So here I am again leaving Helsinki five years after my last visit and my last comments posted here in2013. 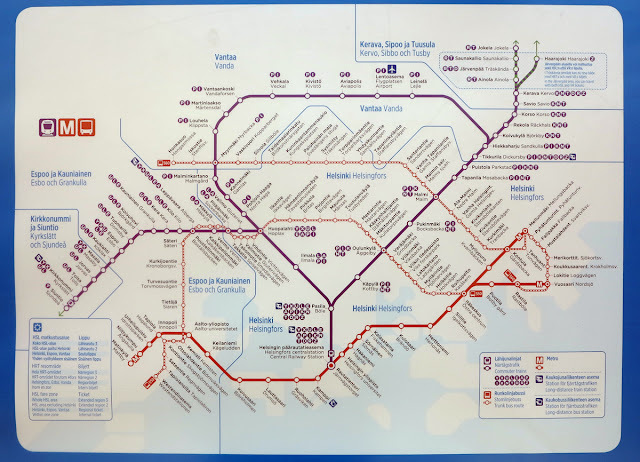 So before I put down my thoughts about the latest developments, most notably the Airport Ring Line and the first stage of the Länsimetro to Espoo, I want to add some updates to the earlier post. I did miss such a monitor at some termini where it might be useful to know how much time is left before the waiting tram actually departs. Normal headways on weekdays are 10 minutes, and 12 on Sundays. The new Artic trams as well as the refurbished older ones have air-conditioning which mostly works fine, but I did find a few almost unbearably warm. And as is the European trend, no windows to let the nice spring air come in. I wonder why decent air-conditioning is so hard to install in Europe (I hate Berlin's buses in the summer, and the S-Bahn without air-conditioning is often more pleasant). For the new line 3, a link was built between Auroran sairaala and Töölön tulli, which created quite a long stretch without any stop. I hope one will be added as the road along the new track was still being rearranged. The Katajanokan terminaali is now only served by line 5 which runs very rarely, but this is not visible from the map, so you may wait for this tram in vain. 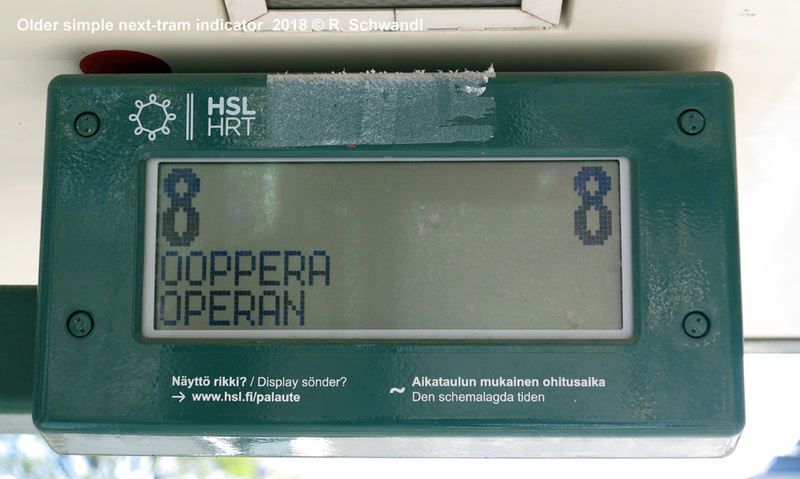 Reading the posted timetables at tram and bus stops is almost impossible for me in Helsinki, again a very unconventional way for European standards (although the Americans use something similar): basically all lines are shown in one list, i.e. a list of departure times with the line added to it, instead of a more typical easy-to-read chart for each line. 2) a 1.4km extension for the Line 10 terminus at Pikku Huopalahti to Huopalahti railway station, which could be done jointly with the Jokeri project. These two extensions would significantly improve the network effect of the tram and suburban rail system. For many people, especially in the northwest, this would make travelling, for example, to the airport much easier. 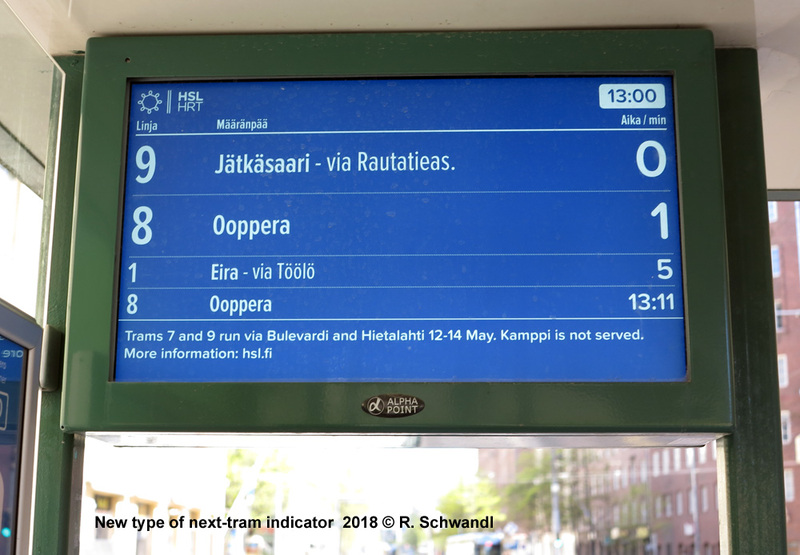 The fare system is still the same, slightly increased fares (9 € for a Helsinki-only day pass), but I have seen some hints that the zonal system may be reformed shortly. 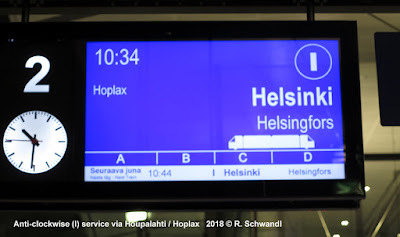 Nowadays the distinction between Helsinki and not Helsinki is a bit strange as the municipal territory extends a long way east but not west, so for the same distance on the metro you may have to pay more just because you live in Espoo and not in the far eastern suburbs. I guess a semi-circular farezone system would be more appropriate. Not much has improved on the S-Bahn network as far as the points I mentioned in 2013 are concerned. Still no special branding, although many new trains now carry a purple livery, whereas outer suburban trains are green and white like all other VR trains. The mess of line letters has not been sorted, actually with the opening of the Airport line it got worse. These service are labelled (P) for clockwise and (I) for anti-clockwise. I hope that these letters mean something for the local population because otherwise I'd call them inappropriate. (I) when written isolatedly doesn't really have a distinctive character, and (P) on blue background and within a circle is mostly associated with a car park. From my experience, also by writing about these systems, a combination of a letter (for the system) and a number for the route is the best option, and therefore it seems natural that even Germany's neighbouring countries like Poland, Czechia and Belgium have adopted the S1, S3 style for suburban trains. This type of designation has actually gone global, via Italy all the way to China, where new lines built as part of the metro system but reaching rather remote areas are labelled S1, S2, etc in most cities. Whereas previously, different routes had already been shown on some maps in different colours, they are now all purple. And I guess what's most confusing about these letters is that there is no distinction between regular and rush-hour services. I find it too tiring to figure out what the difference between N, K and T is and I wonder if it makes that much difference to skip a few stations or whether it would be better just to have a regular all-day 10-minute service on the section to Kerava and drop a few letters instead. In fact, with a train at least every 5 minutes between Helsinki and Hiekkaharju, I bet that an all-stopping service at all times would be more reliable. And this is just about the northeastern leg, the mess on the western leg is similar. I can't think of any other city in the world that operates such a confusing stopping pattern, even Tokyo's private suburban railways seemed to be easier to understand. Some may say, this is a foreign visitor's problem, but although it may be no issue for regular users, I am sure it prevents many occasional users from taking these trains and they choose their car instead. But all in all, the suburban service is very good as for trains and frequencies, with the airport served every ten minutes from either direction, with a train every five minutes on some shared sections. 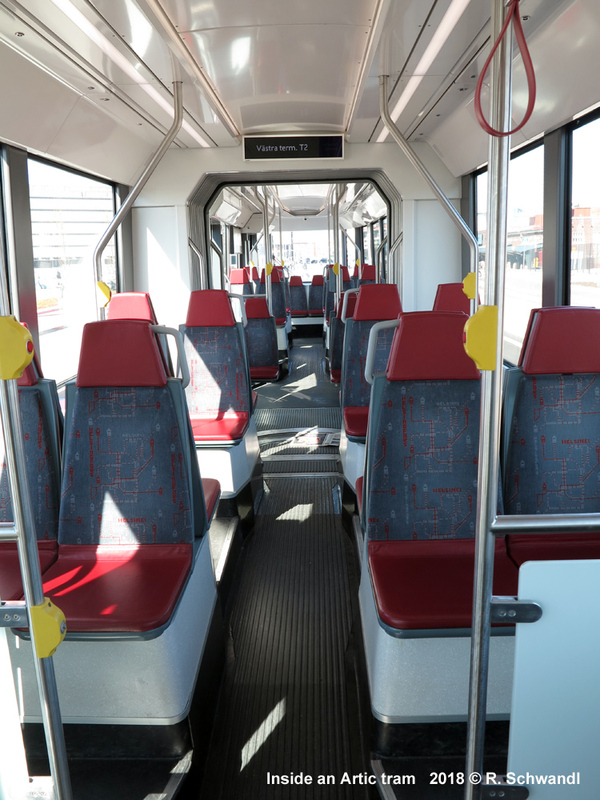 The Stadler Flirt trains are very nice, smoothly running and with well-working air-conditioning. They do have steps though between carriages, probably ramps as seen on other Flirts may be too steep for the low floor at the doors to perfectly match the platform height. This morning I noticed again the long distance at Helsinki station you have to walk from Metro or tram to reach these trains, made more difficult as you walk against the flow of arriving commuters. Now let's have a brief look at the relatively new Airport Ring Line. It is not a proper ring, of course, more a bubble (or if I remember correctly, in the early days it was compared to a strawberry...), with trains starting from either extreme side of Helsinki's main station, (I) trains start on track 1 or 2 at the eastern side, and (P) trains depart from tracks 18 or 19 at the western side (actually not quite sure, and the HSL timetable doesn't indicate the track number, but shows it on the map!). No-one would transfer between these two routes, as they would be able to do that at Pasila. Taking the route anti-clockwise as I did, the eastern suburban line is shared with frequent K or N services, so at almost all stations up to Hiekkaharju there is a train about every 5 minutes. 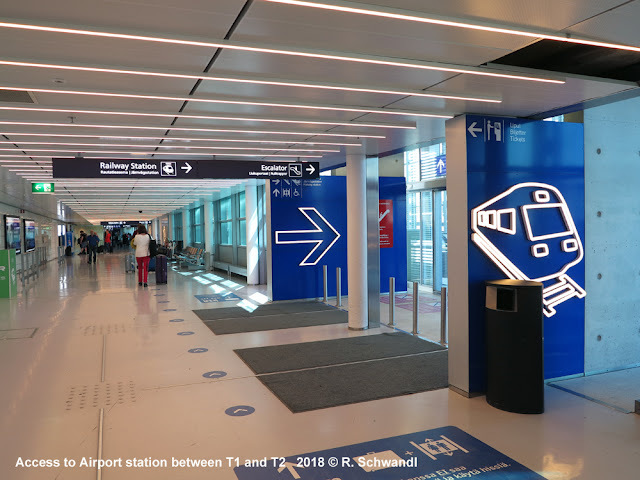 Tikkurila is a major station in the city of Vantaa and here is where airport passengers change from long-distance trains to the airport train. Local passengers can do this more conveniently at Hiekkaharju where "around-the-corner" transfers can be done on the same platform. After serving Leinelä in a growing suburb, the train goes underground and reaches the airport after some 30 minutes. Taking the P train from the other side of the Helsinki station would take almost the same time, so it doesn't really matter which one you take. Getting a ticket may be more difficult if you haven't prepared yourself before as there is no-one to help you. Just a few machines, some for VR trains and some for HSL tickets. But as I was prepared well, I got my 4-day region ticket (35 €) rather easily. I didn't really need it but didn't want to bother with different zones for each day, and in the end buying a region tickets for several days may actually be cheaper than buying a day ticket for each day, and choosing the different zones. For Vantaa and the airport as well as the metro extension to Espoo, a region ticket is required in any case. 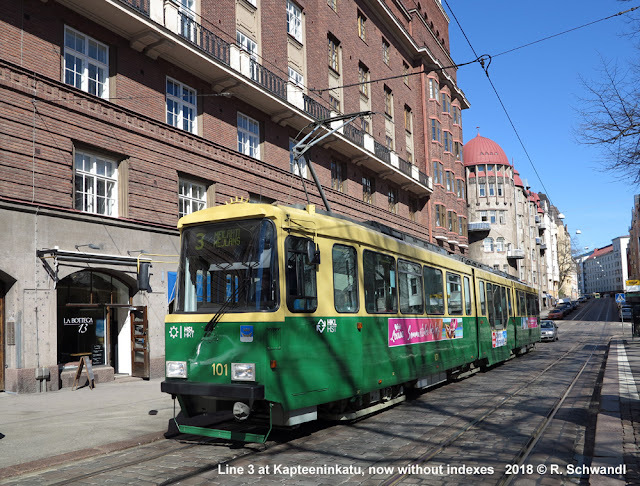 The tram system is entirely within Helsinki, though. After this detour northwest, the train eventually gets aligned southwards heading for Helsinki. It stops at Vekhala, a station in the middle of nowhere, there is just a Fashion Center and a park&ride car park visible from the platform. A few hundred metres further south, but after crossing a motorway (Kehä III - 3rd ring), is Vantaankoski, the former and now rebuilt terminus. Serving all stations on what used to be the M train through Martinlaakso, the I train returns to Helsinki station after a journey approximately one hour long. So, despite the "calling all stations" service, I generally like such an airport service and prefer it to an express train which may be faster but only runs every 30 minutes (and often requires a special fares - see Vienna's CAT, or the Arlanda Express in Stockholm or Flytoget in Oslo). The trains are large enough for people with luggage without disturbing the regular local passengers. I find it much more relaxed to show up at the railway station without looking at timetables and just take the next train which is always leaving in a few minutes. And now let's take a look at the long-awaited, long-delayed western metro extension from Ruoholahti to Matinkylä [For a full set of photos of each station visit my dedicated gallery here]. I had long planned to revisit Helsinki when this route opens, meant to go in the winter to enjoy a few days of real northern darkness, but when the "Länsimetro" finally opened without much prior announcement back in November 2017, I suddenly got ill and had to cancel my spontaneously booked trip (well, Finnair didn't have mercy on me, so I lost the money...). In the end I waited until they announced real good weather (20 degrees in May!) to decide for another spontaneous trip, now using easyJet who had recently taken over those slots from what used to be AirBerlin. I have thoroughly looked at all eight new stations, took the escalators up and walked outside to see how the Metro is changing the areas its serves, and a lot is going on. Not so much at Lauttasaari and Koivusaari, both still on Helsinki territory, the first lying withing an already built-up area, and the latter at the western edge of the same island, so probably good to get off here for a nice stroll along the island's coastal paths. But there is no room form much development, so the station seems a bit of a waste of money! It's a pity that the entire extension was built deep underground, because a surface or elevated alignment would have provided nice views. Instead the tunnel was blasted rather deep under the seabed. I explored the route on a Saturday morning, so I didn't see the regular passenger movements. This is most apparent at Keilaniemi, where there are some new office blocks in a waterfront development around the station, but no-one there but a bored security guard. Aalto Yliopisto (University) doesn't get very busy on Saturdays either, I took the eastern exit where some bus connections were shown, but ended up in a construction site for a huge university building. I walked around it hoping to find the western entrance in this wide-spread university campus, and luckily I headed more or less in the right direction until I found a small signpost indicating the entrance. I probably wouldn't have seen the entrance from that distance, especially as there was no logo pole visible. Once in front of the entrance I discovered one, but I think these should be placed to be spotted from a distance rather than just a sign at the entrance. And Helsinki does have a very nice and large logo recognisable from the distance! 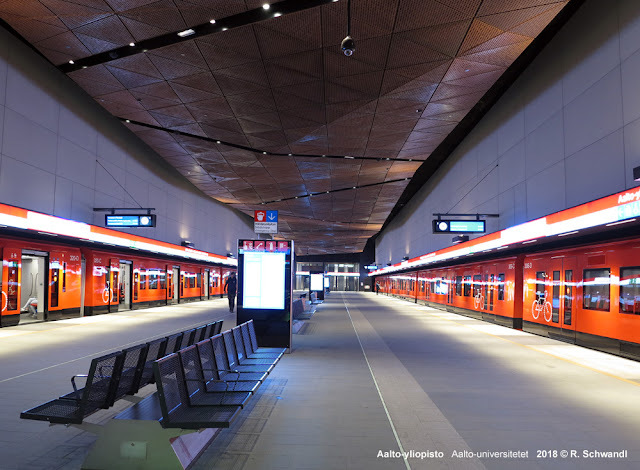 All the stations have a rather distinctive ceiling decoration, stylish lamps in most cases, but Aalto University has a ceiling made of brown panels, creating a rather dark space. This becomes even more striking as you reach the following station Tapiola which is extremely bright and pleasant compared to Aalto University. Tapiola, somehow the eastern centre of Espoo with a lot of shops, is the terminus for every other train arriving from the east, but as for now, only the western exit is open, I guess due to construction work continuing on the surface and for an underground bus station. Getting out at Tapiola is extremely weird, several flights of escalators, for the last bit you can also opt for a lift (of course, you can take lifts at all stations, but it's not always faster, sometimes you need two lifts to reach the surface) or even climb a long set of stairs in the open-air. On the way back I discovered another route which makes you walk through the underground car park of a shopping mall. 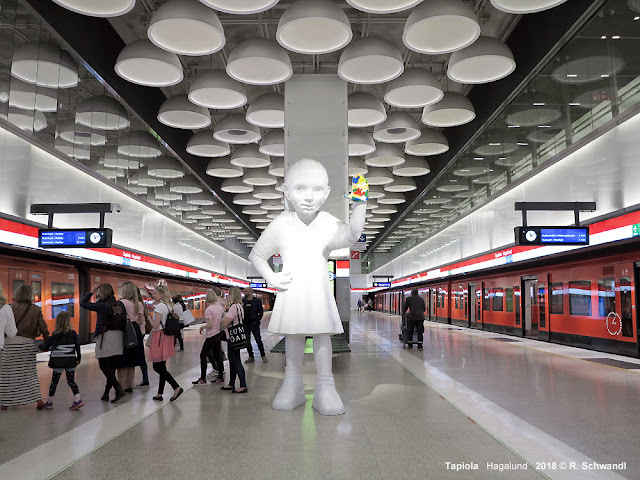 Tapiola not only has stylish hugh lamps hanging from the high ceiling, but also a cute huge girl with paint on her fingers, so she must have left those colour strokes visible along some walls as you access the station. The distinction between line M1 and M2 is hardly visible anywhere, not on maps or screens, just on the electronic distination board inside trains which say e.g. "M1 Matinkylä" for those trains continuing beyond Tapiola. 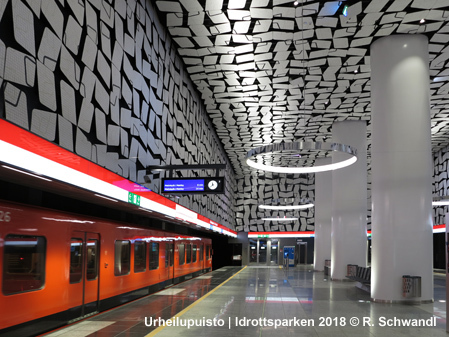 Urheilupuisto surprises with a high ceiling which continues the floating tiles used on the walls above the platforms, one of my favourites. Around this station as well as the following Niittykumpu, there is a lot of construction going on. 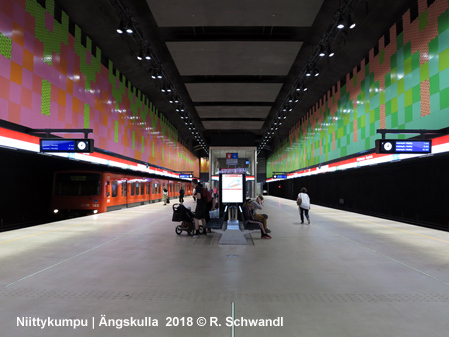 Niittykumpu is different from the rest as the wall cladding features some proper colours, whereas in the other stations shades of black and white dominate. The entrance is directly integrated into a smaller shopping centre and somewhat hidden as not much orange is visible outside. Again, a logo pole placed on the street corner would help to identify the station entrance from some distance. 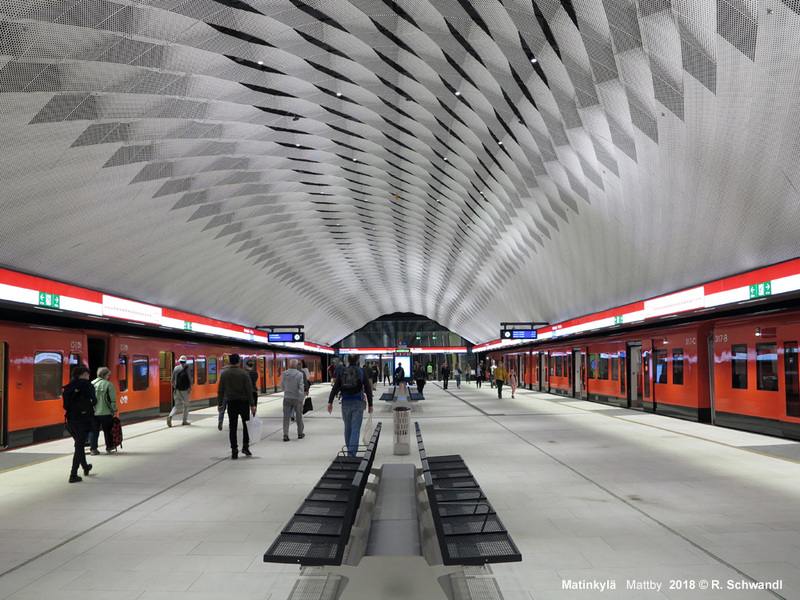 The current terminus at Matinkylä is certainly one of the highlights of this line, with its wide and barely obstructed platform covered by a swung white ceiling with a decent moving light effect. The station is integrated into a huge shopping mall and underground bus station (which may get less busy once the line is extended to Kivenlahti). Matinkylä only has an exit at the eastern end of the platform, although an emergency exit is available at the other end, too. From Matinkylä, I took buses 143 and 147 to explore the area of the forthcoming extension to Kivenlahti, which is also being built completely underground, though it partly runs through sparsely populated area. I could see several construction sites (easily recognisable by orange fences! ), except at Espoolahti on the way back on bus 543, but maybe I looked in the wrong place there. As I visited on a Saturday morning, I'm not able to confirm complaints I heard about overcrowding due to the fact that the new extension was only built with platforms long enough for 4-car trains instead of six on the older sections. This decision was taken in view of driverless running, a project cancelled during construction. It was certainly a huge mistake not to make provisions for platform lengthening! 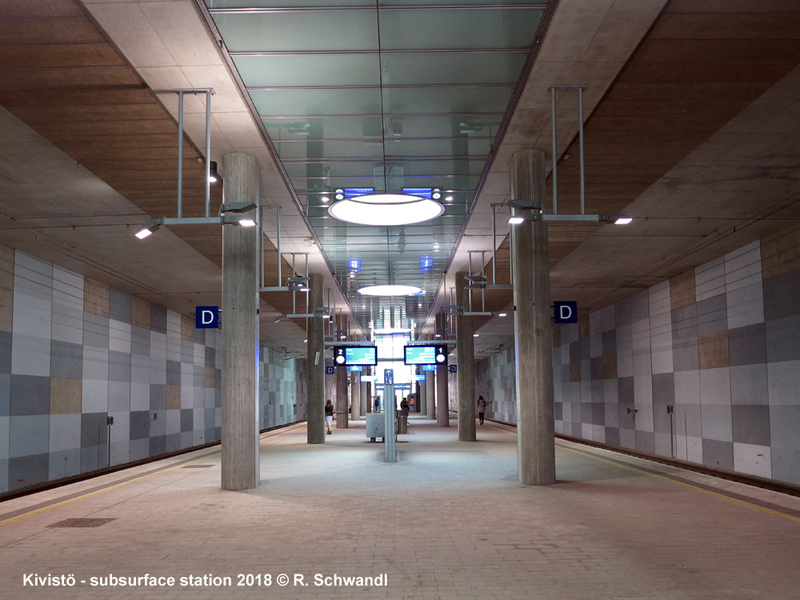 In many modern metros, planners thought that driverless operation would allow to reduce the scale of the stations, but many have regretted it, see Copenhagen or Lille. The slightest disruption may lead to extreme overcrowding of stations and trains, obstruction of doors and thus a complete collapse of the system. Helsinki is lucky to have probably the world's widest metro cars (3.2m! ), so a 4-car train may carry as many people as an 8-car trains on Berlin's narrow lines U1-U4. The lack of provisions for longer platforms is the more incomprehensible as the stations seem to be built very generously, if not oversized, so the stations box or cavern would not really need more volume, just a different arrangement of the escalator and lift shafts, which now occupy the full width of the platform. Compared to the shiny new stations, the old stations in the city centre appear rather dated. 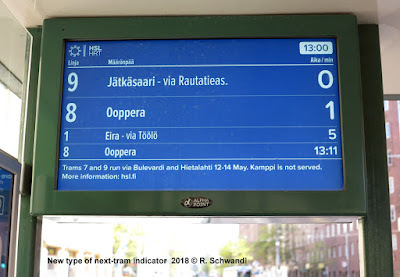 All stations have received new signage (and as if they were following my advice in my 2013 blog, Swedish now appears in normal font, while Finnish is in bold, and English if used, in italics! ), but nothing else seems to have been done for many years. Ex-Kaisaniemi, now Helsingin Yliopisto would have deserved a major clean up with the station renaming, but also Rautatientori and Kamppi look rather worn-down and could do with a bit of modernisation. The HSL information office is a bit hidden in one corner of the metro mezzanine at Rautatientori, I had to ask although I was standing some 20m away from it (though closed on Sundays!). On Monday morning I managed to pick up some maps, the large Helsinki fold-out edition has a geographical map with buses and railways on one side, and on the other a city centre enlargement plus a tram network diagram, a railway diagram including the cross-region buses 550 and 560 and the metro strip map. All these and more can also be downloaded here! 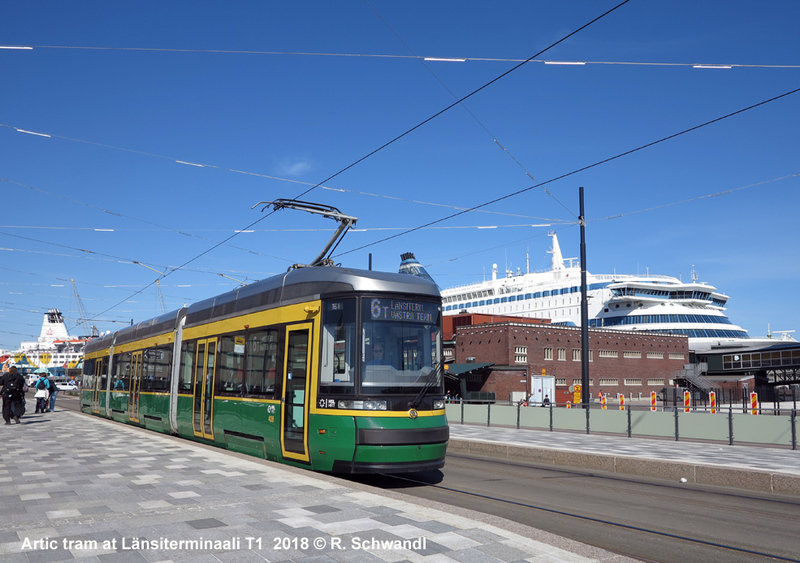 I'm looking forward to my next visit to Finland, the next occasion would be the new tram in Tampere, followed probably by the Jokeri tangential light rail line and the next five stations of the Länsimetro in Helsinki. HSL for timetables and maps etc. The airport train line letters I and P doesn't mean anything to locals either. A good few eastern metro stations on the surface section have received considerable facelifts since 2013, notably Siilitie and Myllypuro. 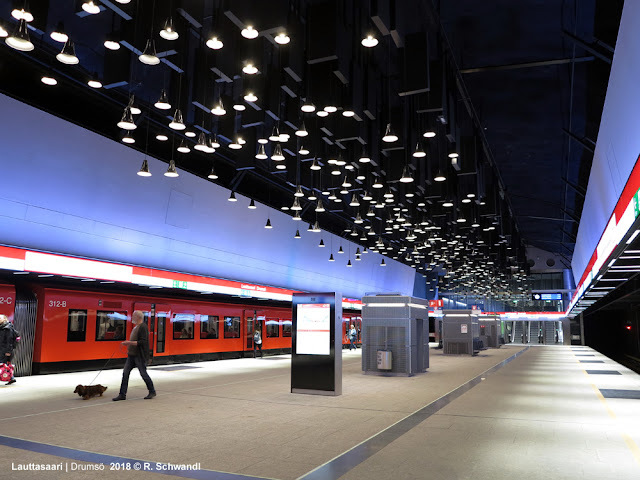 The Project is gradually extending to other stations, but I suppose Rautatientori will be the last one to receive a facelift as it's by far the busiest station on the old section. But regarding that, the new exit signs at metro stations mark each exit with a letter, and the letters extend at least as far as S at Rautatientori. That has caused confusion among locals much more than the train services ever have. Regarding länsimetro, there are actually massive plans for the area around Koivusaari stations, with the motorway (or "city boulevard", if the mayor could decide) lowered into a tunnel and significant residential blocks built on top, partly on reclaimed land. The tunneling work at the Kivenlahti extension is almost finished, but the line itself is further delayed and will not open before 2023. At Espoonlahti, the entrance is to be inside the Lippulaiva shopping centre, so that partially explains the lack of visible construction sites there. You may have noticed, we really like attaching our metro stations to shopping centres. Even the rather barren Munkkivuori shopping centre just south of Huopalahti train station has an entrance to a metro that was never built. Regarding Vehkala station, it was only supposed to be built as part of a second phase (scheduled to be built in the unforeseeable future). However, leaks of de-icing fluids in the tunnel beneath the airport forced a one year delay, and so the station was added with future office space in mind. The second phase would also add stations at Petas, Lapinkylä, Viinikkala and Ruskeasanta. 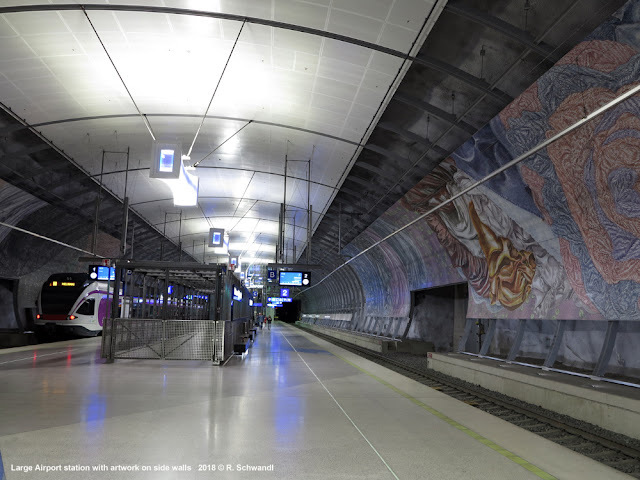 Petas station would form an important connection if plans to expand the S-bahn Network northbound to Klaukkala ever go ahead. Ruskeasanta station was scrapped from the original plan due to local opposition, so it is unlikely to ever be included in the system. The train services are branded with letters simply to avoid confusion with bus and tram lines that have numbers. They once had a tiny bit of logic to them, e.g. R for Riihimäki, M for Martinlaakso, K for Kerava, E for Espoo, A for Alberga (Swedish name of Leppävaara). But those days are long gone, and new letters seem to only be added on the basis of what letter is free. Paris RER service has train lines which skip several stations too, same for Long Island Railroad in NY state. This is not unusual. Stations with lower patronage should see lower train service too. (Some stations on Berlin's U2 like Mohrenstr. should be closed during late evenings due to low patronage too.) I see no reason for confusion either, most trips go into central Helsinki in the morning anyway, so the argument about taking the car instead doesn't hold (and parking in central Helsinki is expensive). About the tram - there are some street level boarding stops for example along Bulevardi although I think the tram runs close enough to parked cars that you don't risk being run over by passing cars when you step out of the tram. As for the short metro trains on the new extension there has recently been some reversal of the policy of cancelling all busses from espoo into the city centre and now some busses will be re-introduced instead of forcing commuters to take a bus to the metro station and then continue into the city centre by metro only. Tell us your experience of this transport system!